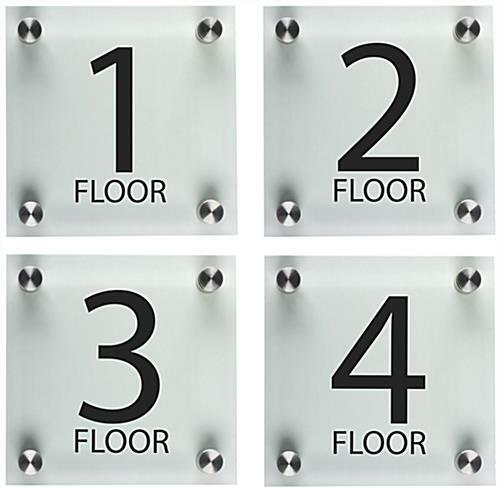 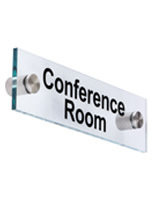 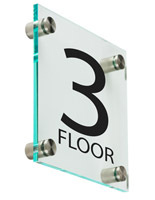 These floor level sign sets are excellent for informing visitors in office buildings, hotels and universities. 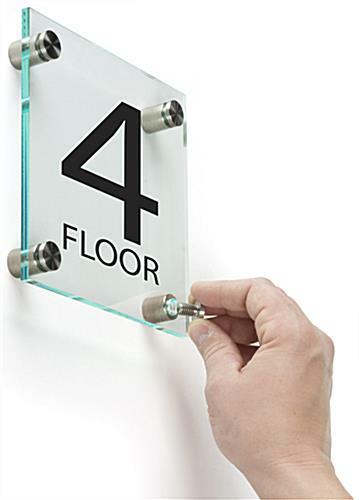 This type of signage can be placed on every story, outside elevator areas and staircases. 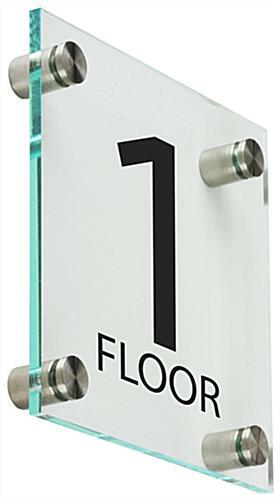 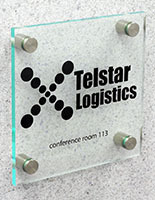 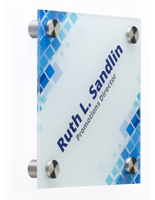 Every display in the sign sets consists of a clear acrylic plate and sleek silver standoffs for a modern path marking. 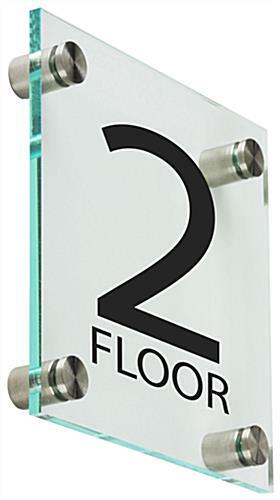 In addition, the stair displays are printed with easy to read black text in a high quality UV process. 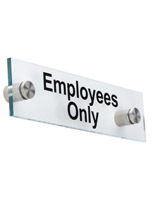 The path marking signage sets are mounted to walls and their included spacers keep them a distance of 0.625" from surfaces. 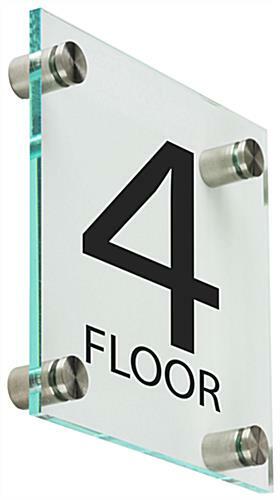 The fixtures' sleek appearance adds to any waiting area or lobby.